More than a dozen young girls came to the first ever "Lash Bash" event where they learned makeup tricks from Mary Kay professionals and participated in a conversation about teen dating violence at the Family Justice Center on Main Street in Buffalo. 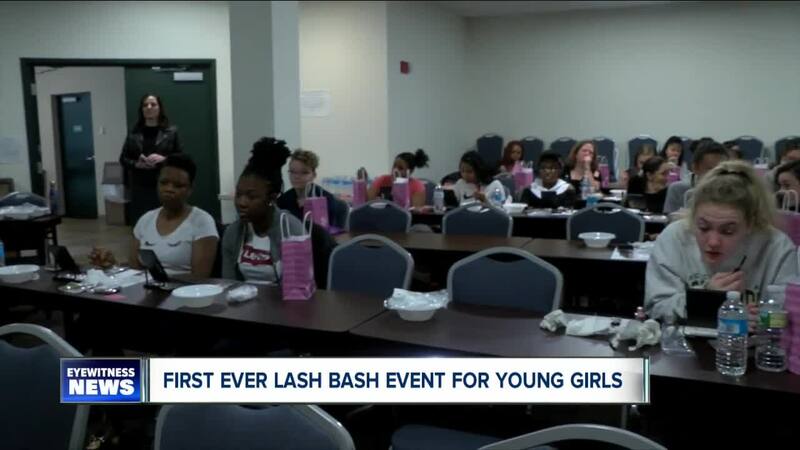 BUFFALO, N.Y. (WKBW) — More than a dozen young girls came to the first ever "Lash Bash" event where they learned makeup tricks from Mary Kay professionals and participated in a conversation about teen dating violence at the Family Justice Center on Main Street in Buffalo. "It's really hard to get girls to come out and talk about dating violence but when you combine it with makeup, what could be better," Amy Schule, life coach and founder of Brave Girls, Wise Souls said. According to the CDC 1 in 11 girls high school girls experienced physical dating violence in the last year. This free event taught these young girls the tools and signs of dating violence in their relationships. "Love should not hurt," Andrea Harden, a sales director for Mary Kay said. "Everybody's life is not the highlight reel that we put out on Facebook and Instagram but we all have our ups and downs." Schule says she created this event to not only bring awareness to teen dating violence but to also inspire the young women to be strong and confident. "I want to help the girls have a much more empowering future for themselves," Schule said. "And to never let anybody make them feel less than or to hurt them in anyway." The girls received makeup samples and had the chance to practice putting on mascara, foundation, and eyeshadow.